Ireland are at the halfway point on the road to Russia, but it's unlikely that events of the past week will feature too prominently on any highlights reel at the end of the campaign. 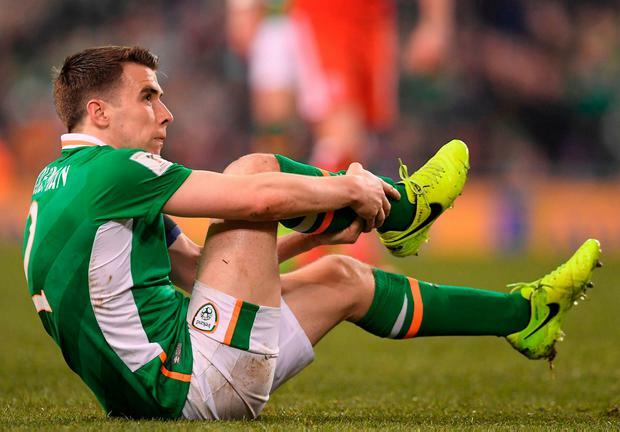 When injury problems clouded the build-up to the first official business of 2017, Martin O'Neill did make the point that the result against Wales will be the legacy and nobody would remember who played a couple of weeks after the event. That logic is usually sound, yet there is a possibility that the drab Dublin double-header will be recalled vividly because it highlighted how Ireland toil when they are down a few bodies. Or it might just be remembered because of one reckless tackle and the nasty consequences. When O'Neill signed off on his November business, all was well with the world. The tone was slightly different in his debrief after Tuesday's defeat to Iceland. Speaks for itself. Ireland might have made the World Cup in 1998 were it not for the cruciate injury that ruled Roy Keane out of the run-in. The hope for O'Neill and Keane is that they don't end up speaking about their captain's leg break in those terms. A return of two shots on target from 180 minutes at the Aviva Stadium is extremely poor. The positive spin at the start of the year was that four of Ireland's remaining six matches in Group D were at home. O'Neill's men need to make life more uncomfortable for their visitors; Georgia had a fairly easy time of it last October too. The best performance under the current manager arguably came in the second leg of the Euro 2016 playoff with Bosnia in Ballsbridge and that should have set the template for future matches. But two large attendances, by the overall standards, at the Aviva era were given very little to shout about. Are things that bad without Wes Hoolahan? New boys Conor Hourihane and John Egan were picked to start Tuesday's game but failed to translate their club form to the international stage. The manager felt that nerves played some part in Ireland's overall struggle to impose themselves before the interval; he wasn't just speaking about the debutants but did return to them in the course of his ruminations. "There are players coming in trying to impress and sometimes it's difficult," he said, "Sometimes you can be over anxious. "They are trying to do well and trying to be precise and because you're trying to be that precise, you take that bit longer with the ball. "We changed the side around and you had players like Hourihane trying to get into the game but it's a first time playing with some of those players. "And for John Egan too. The boys would be nervous for that game. Why wouldn't they be?" With Coleman out of the equation, O'Neill needs more from one of his definite starters. There could be a simple solution. The Burnley man appeared to be a bit confused by his floating role against Wales and the switch to a 4-4-2 against Iceland did not suit his strengths either. Still, he was surprisingly lethargic. We've seen poor displays from him before, most notably the pre-Euros friendly with Belarus, and he responded in stunning fashion. Hendrick has the ability; he just needs to develop a bit of consistency because he's blown hot and cold since France. Ronald Koeman's furious outburst at both James McCarthy and O'Neill last night is sure to inflame tensions. 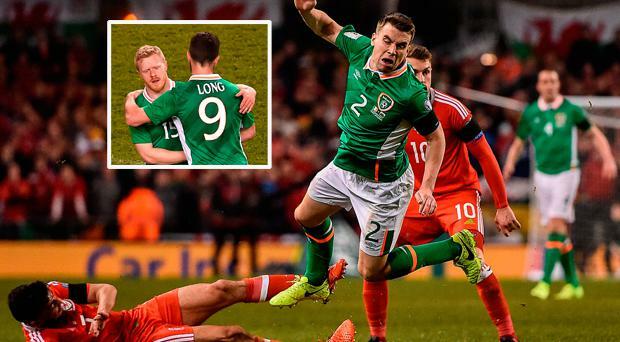 He is angry that the midfielder was named in Ireland's starting XI for the Wales game but was then pulled out after overstretching in the warm-up. Koeman claims that medics had advised against the player trying to participate in that game due to his ongoing hamstring problems. Issues between Ireland and Everton pre-date O'Neill's appointment but there is clearly no love lost between the managers and McCarthy is now stuck in the middle. O'Neill recently passed his phone number to Everton through the press office but didn't receive a call back from Koeman. The Derryman thinks the club need to work out a solution. "James wants to play for us but it just seems to be quite often he has come to us, where he's just recovering from an injury and the time element seems to fall on us on whether you play him or don't play him," he says. "He hasn't been with us now for a long, long time so what he does at club level is something that's outside our jurisdiction. That's got to be addressed by him and his club more than anything else." Wales failed to sparkle and must go to Serbia in June without Gareth Bale. Austria made hard work of beating a poor Moldovan side and they will arrive in Dublin without Marko Arnautovic. Ireland haven't played especially well in this campaign, aside from in Vienna, yet they are joint top and in control of their own destiny. The performance level soared in the Euros campaign as the chequered flag approached. If they can respond to pressure in the same way this time around then anything is possible. 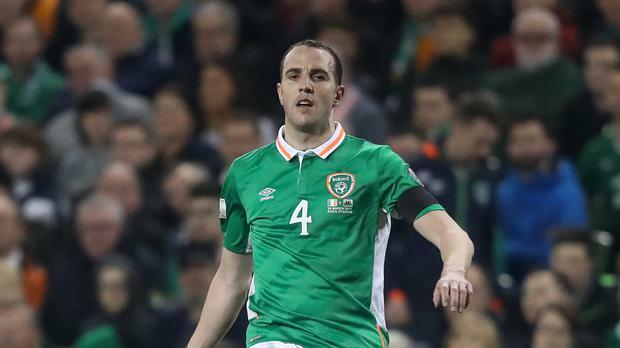 The presence of John O'Shea and Richard Keogh in the squad meant that Ireland were able to cope with the unavailability of first choice centre-halves Ciaran Clark and Shane Duffy. O'Shea's experience was invaluable and it has justified his decision to stick around. O'Neill's charges have conceded just three goals in five Group D matches and the only concession since the opening night in Belgrade came from Duffy's calamity in Moldova. If Ireland remain as disciplined at the back, they will pick up plenty of points between now and October. 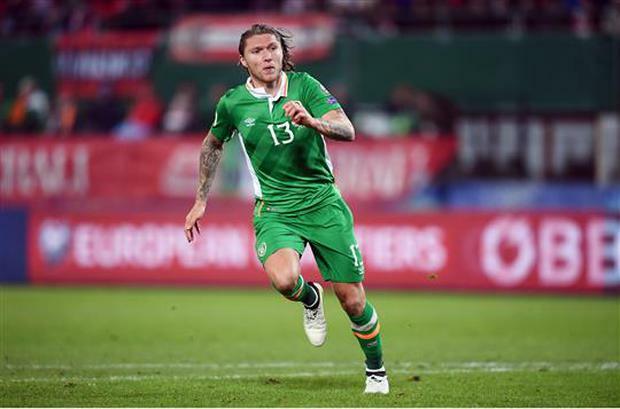 The Galwegian's performances in the Europa League indicated that he would be suited to the challenge of international football and he quickly adapted to the Iceland game. Horgan can come off the bench and quickly get to the pace of a game, and his decision making is quite good; even if the decision is often the simple idea of running into available space and taking players on. The 24-year-old can operate on the left, the right and is also comfortable taking up central positions and he has put his hand up for inclusion in games of significance. Eunan O'Kane also deserves a mention for his assured contribution off the bench on Tuesday.